using the combination of crystals below. Please feel free to connect into the this configuration at any time over its period of opening from where ever you are based. Hope you can join us in meditation, positive thought or prayer for any or all of these crystal focuses. Thank you for your connection. This meditation will use a Pure Peace set, as shown below. Hope you can join us! In celebration of World Water day and the fifth anniversary of our focused crystal planting work in connection to global waters, there will be a special meditation through 12 noon GMT using a Pure Source Set (see previous posting). Hope you can join us! This project embodies the use of three specially programmed crystal planting configurations to help heal the waters of our energy challenged planet. These crystal sets offer a unique opportunity for anyone across the globe to plant crystals to heal areas of pollution, stagnation and trauma in connection to water. This set is composed of one Pure Grace Heart, one aqua aura and one amethyst, specially programmed together to cleanse planetary waters of physical and emotional pollution bringing healing and returning balance and flow. Suitable sites of planting include: source of a river, spring, sacred places in connection to water e.g. wells, lakes. This set is composed of one Pure Grace Heart and four amethyst, specially programmed together to absorb and transmute held negativity bringing healing and returning purity and flow. Suitable sites of planting include: any stagnant area of water e.g.lake, pond,well, marsh. 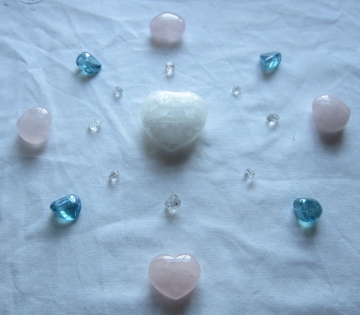 This set is composed of one Pure Grace Heart and four rose quartz, specially programmed to heal trauma in connection to water. 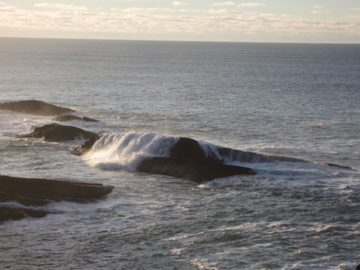 Suitable sites of planting include: areas of flooding - e.g sites of tsunamis and river flood plains, sites of ship wrecks and loss of life, old whaling ports, sites of destruction of marine or freshwater life. These Pure grace Hearts, launched in 2010, are specially programmed to bring purity, strength and positive flow to the coastal waters to which they are placed and all life forms inhabiting those waters. The crystals work to bring cleansing and balance to the planets water and all life streams with connection to it, helping to return all to purity, flow and heart connection whilst adding to a growing global network of light as we move forwards within a new planetary cycle of energy. Each crystal, or crystal set, includes full instructions for planting - no previous experience is required. A good number of these crystals and crystal sets have been planted across the globe over the last five years and we hope you feel able to join us in crystal planting more of these configurations in the year to come, bringing greater peace, harmony and flow to all. I have recently had the gift of starting working in a beautiful holistic therapy centre in Kirkwall, Orkney. 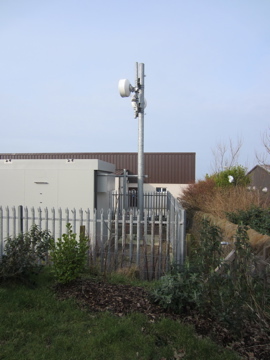 On one of my first visits there, the owner showed me a mobile phone mast which had been put up within a few feet of the grounds of the clinic, and said she was conecerned about the energy coming off this mast. 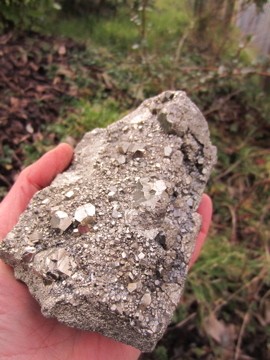 I offered to plant a programmed fist sized pyrite next to the mast in order to negate this energy. It also felt right to plant the site with programmed amethyst to the four corners for protection against negative environmental energies. The latter normally isn't necessary, in combination with the pyrite placement, but I realised when I was planting the area, that there is a further mobile phone mast and a small substation both within a short distance of the clinic. 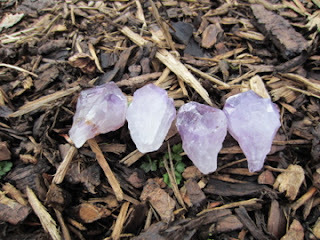 I completed the crystal planting a couple of weeks ago and the energy immediately felt much lighter and freer. The owner can also feel the difference and is delighted that her dowsing rods, which, prior to the placing of the crystals had shown marked movement in the direction of the mobile phone mast, now show no reaction at all. 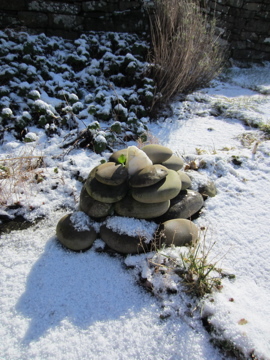 The snow quartz cairn and associated crystals here at Old Nisthouse in Orkney have been reprogrammed to help all in distress across the Globe. This may be individuals, communities, land, water, plants or animals. 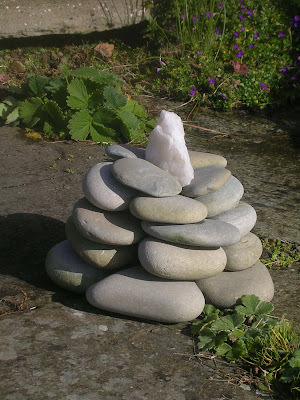 Please feel free to connect into the cairn at anytime with positive thoughts, prayers or a short meditation for others in need. Every connection will further empower the work of the crystals and the healing benefit to all. 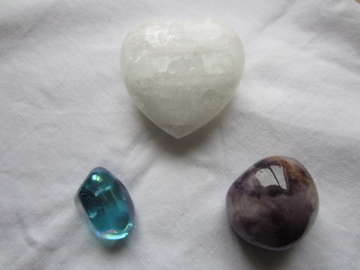 The crystals for this meditation are shown below - please use this image as a positive focus. Thank you for your connection and helping others in need. 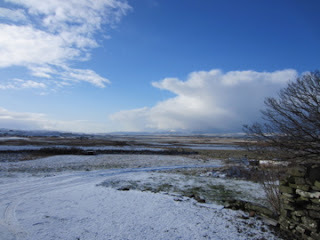 View from Old Nisthouse, Orkney this morning. The the crystal cairn here at Old Nisthouse has been refocused today to send strength and healing to the lands and people of Japan in memory of the Tsunami which hit the country two years ago. The cairn will remain open in this way from midday 11th March 2013 GMT for twenty four hours. Please connect in at any time during this period to send positive thoughts or prayers to all affected by this event. Thank you for your help and support of others in need. The Crystal Earthworks is delighted to celebrate today, the 5th anniversary of the launch of the 'Pure Grace Heart'. 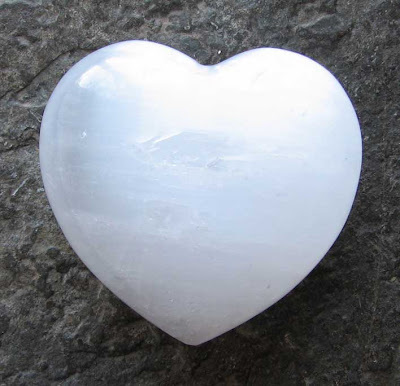 These beautiful selenite hearts, are a gift of light and can be carried and used for personal healing, meditation and planting to the lands and waters of the Earth. Specially programmed in a high energy environment to bring purity and flow to the bearer or to their place of planting they offer an ever growing myriad of healing opportunities for all. 'Pure Grace Hearts' for personal use, come in gold hemp pouches with accompanying instructions for use. 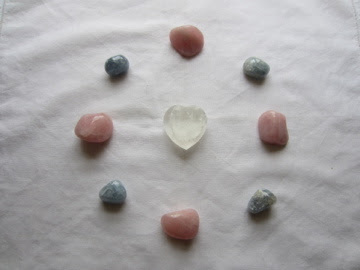 'Pure Grace Hearts' for planting come in lilac boxes either singly or combined with other crystals for a variety of healing purposes and with full instructions for placing to the Earth. Please let use know if you would like to know more about this aspect of the 'Crystal Earthworks' work. 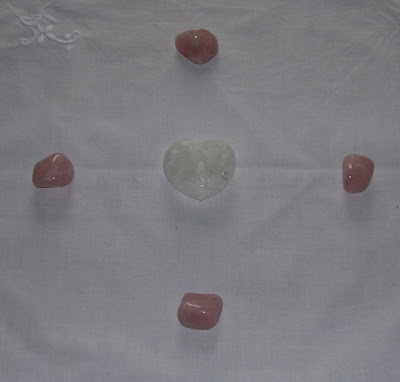 In celebration, we will be meditating through 12pm GMT with a Pure Grace Heart as a focus. Hope you can join us! In celebration of World Book Day, today, 7th March 2013, it felt important to let everyone know that 'Crystal Clear', the first Crystal Earthworks book, will shortly be submitted to the publishers for final editing and the production and marketing process to begin - got there at last! The book will provide an invaluable guide to programming and planting crystals for a wide variety of purposes and will greatly enhance the potential of Earth healing using crystals across the globe. This meditation will use a Pure Peace set, as shown below. Hope you can join us. 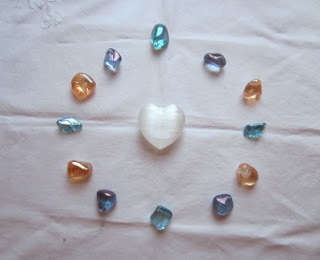 Each set of crystals will remain open for 24hrs, with one meditation running in to the next. Please feel free to connect into the relevant crystals at any time over their period of opening from where ever you are based.